RCMRD collaborated with Trans-African Hydro-Meteorological Observatory (TAHMO) in March 2017. Crop productivity and food security in Africa pivots on the weather. However, African hydro-meteorological data are virtually non-existent, and crop failures and disease outbreaks are frequent. Furthermore, there is nearly no basis for the determination of how the African climate is changing. Thus, the partnership with TAHMO will help improve the hydro-meteorological services in RCMRD member States and beyond. 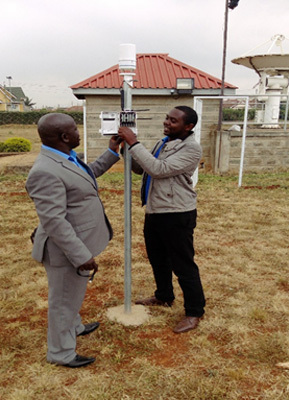 In addition, the partnership included collaboration in activities like the RCMRD Space challenge where the TAHMO program is deploying automatic Weather Stations in schools in Africa. RCMRD international space challenge that is a three-year programme. The challenge begun in April 2017 in collaboration with TAHMO, GLOBE (Global Learning and Observation to Benefit the Environment) Kenya and 4-H Kenya and will run until 2019. TAHMO was able to set up automatic weather station (AWS) at RCMRD on 24th July 2017. 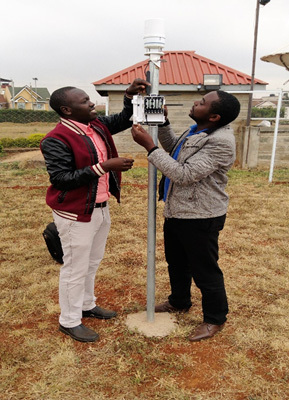 Furthermore, this collaboration will help some universities obtain automatic weather stations from TAHMO such as Ardhi University (Tanzania), Dedan Kimathi University of Technology (Kenya), Moi university (Kenya) and Jaramogi Oginga Odinga University of Science and Technology (Kenya). 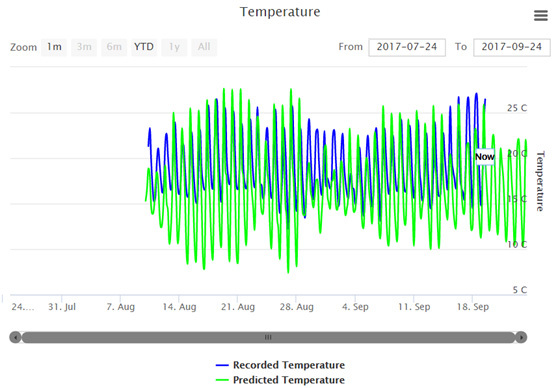 The automatic weather stations from TAHMO can be viewed using this link: https://school2school.net/. The RCMRD AWS can be viewed https://school2school.net/station/?siteCode=TA00182.